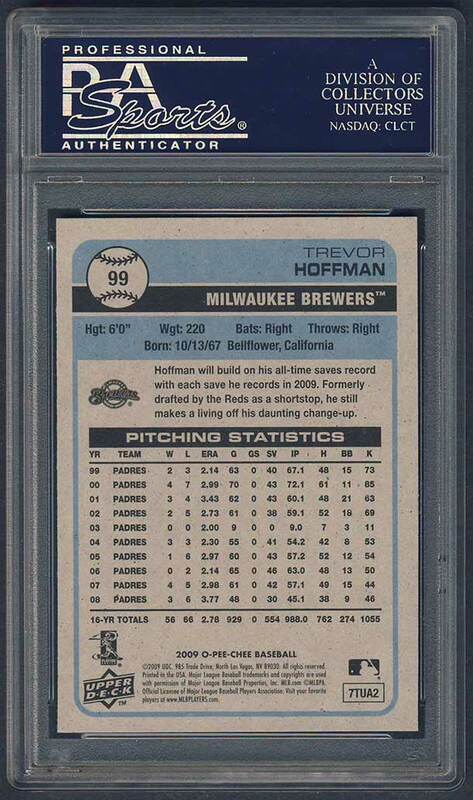 Comments: Soon after these cards were issued in 2009, I found an example on eBay in one of my searches for Trevor Hoffman. In June, 2009 I purchased three copies of the 2009 OPC card from Bleacher Seats Collectibles. I received them back in Feb, 2010 graded MINT 9 and NM-MT 8 respectively. I picked up a black parallel in June, 2011 on eBay but it wasn’t nice enough to grade. The black-bordered cards are tough. I’d really like to find a mint/gem copy someday. I purchased a couple more base cards on eBay in May, 2012 and received a MINT grade from PSA on one of them in August, 2013. The craze started….the quest for a perfect 10. UPDATE: On March 2nd, I won a full 2009 OPC Hobby box on eBay for $34 including S&H. I have not opened a box in a year-plus, since busting open a 1994 Pinnacle box looking for a Molitor. 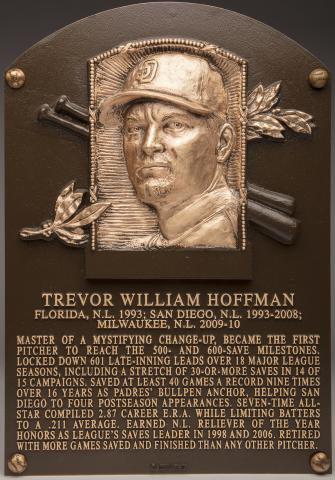 Hopefully, it will contain a few nice GEM 10 worthy Hoffmans. I really hope there's a black-bordered copy too. 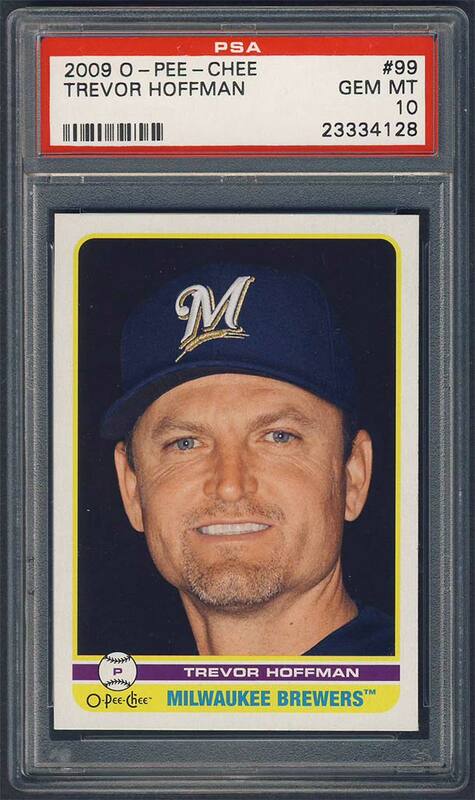 As you can see, sadly no Hoffmans - not a base card, black parallel or mini. Will keep trying. Frustrated, on March 18 2014 I paid my favorite site a visit and purchased their entire inventory of 2009 Hoffman OPC cards - 14 examples for $6.30. Hopefully, a few of them exhibit razor corners and perfect centering so I can submit them with hopes of getting the elusive GEM MT grade.